We understand that managing your assets risk is just as important as growing them. That is why we have invested in resources that provide a broad range of investment products for both life planning and asset management. Sustainable investing allows investors to align their portfolios with their personal values.The idea of sustainable investing is not new, and many investors relate the term to socially responsible investing (SRI), which is an investment strategy that excludes companies and industries on a basis of moral values (e.g. alcohol consumption, gambling). This type of strategy still exists, but it is important to note that sustainable investing has evolved beyond emphasizing exclusionary screening based on a narrow range of criteria. Today, greater emphasis is placed on which companies to include, rather than exclude, from a portfolio, giving rise to a range of complementary approaches that can be used to implement sustainable investment strategies. Our goal is to maximize our clients' current income to preserve their principal. Going forward, we believe broad diversification will be crucial in pursuing this goal in the income markets. For income seekers and bond investors, the last three decades have been quite rewarding with high-quality investments producing strong yields and competitive absolute returns. Like too many thirsty people going to the same watering hole for too long, eventually the well dries up. In this situation, the high demand has led to high prices and consequently low yields. Since the high-quality income "well" is temporarily dried up (or in danger of drying up), the one option is to find another place to dig. 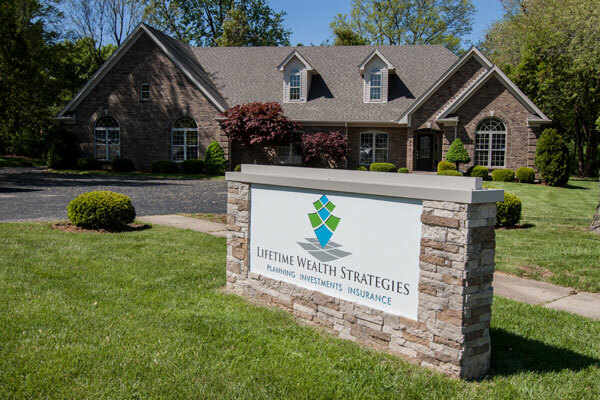 Lifetime Wealth Strategies research has identified a wide range of investments, each with varying levels of income objectives, types of risks, and overall complexity that we use in building portfolios that seek to create income. Our tactical equity portfolio uses a scoring system based on relative strength to look for asset classes or sectors that are exhibiting performance above an underlying benchmark. We use this information to shift investments from one asset class to another, in our attempt to either avoid trouble or seize emerging opportunities. This strategy is designed for times of higher volatility and is most suitable for clients that are concerned about downside risk of the markets. Dimensional Fund Advisors has long been recognized as one of the leaders in applying financial science to the practical world of investing. In 1981, Dimensional introduced innovative strategies that set a new standard for portfolio design. The markets are inherently efficient, and when left to a scientific approach, the total long-term returns tend to reward investors. Financial markets act as an ally when investors understand that investing isn’t about finding a loophole for a quick gain, but instead committing to a long-term strategy with diversification and risk/reward balance at its core. ESG investing may be subject to greater volatility than ones that invest more broadly. There is no guarantee that a diversified portfolio will enhance overall returns or outperform a non-diversified portfolio. No strategy assures success or protects against loss.